You may have heard of dowsing, or “witching” for water with a divining rod or water stick. However, modern technology has caught up and now we are able to harness the power of seismic technology to dowse for water. A seismic source is used to create a sound wave (pulse). When the sound wave moves through an aquifer, the water in the aquifer moves relative to the rock formation. Ions in the water are dragged away from their partners bound to the rock and the electrical disturbance created travels to the surface at the speed of light and is detected by an antenna array. Each signal is separated in time from its neighbors by the propagation time of the down going seismic pulse. This gives unambiguous depth and thickness data, as with reflection seismic technology. 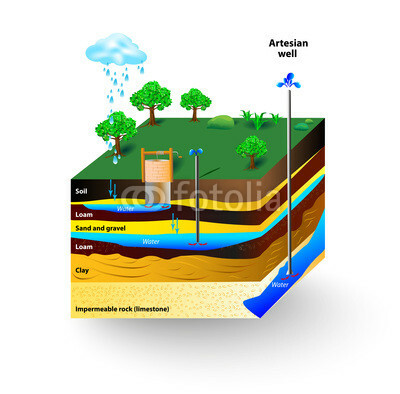 The form of each signal gives information about the depth, thickness and quality of the aquifer and this is used to estimate the likely yield from a water well to be drilled at the survey site. Our complete aquifer mapping services are both affordable & environmentally friendly. 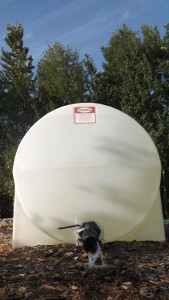 If you’re planning to drill a water well, and want to find aquifer depth and yield (gallons per minute) beforehand, give us a call or fill out our contact form. We travel anywhere in Canada and make regular trips throughout Western Canada. Undisturbed native soil for sounding. If the site has been recently leveled or disturbed (i.e.due to excavation), an option would be to dig down to native soil. The top 3 feet of sounding sites should be less than 30% large gravel or cobbles. Usually there are at least some locations on every property that will meet these requirements. If not, we will need to do additional data collection to confirm aquifer profiles. Describing the site conditions of where the soundings will be done is necessary when booking. The customer or a customer representative must meet our water surveyor on site. Each proposed sounding site must be easily accessed by a pickup truck, and have a 16′ x 8′ cleared area (brush, trees, hay etc.) If the sounding site cannot be easily accessed, additional charges will apply. We will try our best to make sure the sites you want surveyed are sounded. The site must be 50 feet away from any type of electrical power source, most importantly underground power. All underground utilities must be clearly marked. Info: Soundings are usually done every 100 feet in a straight line to provide the most comprehensive aquifer data.